1. This gorgeous steel map. 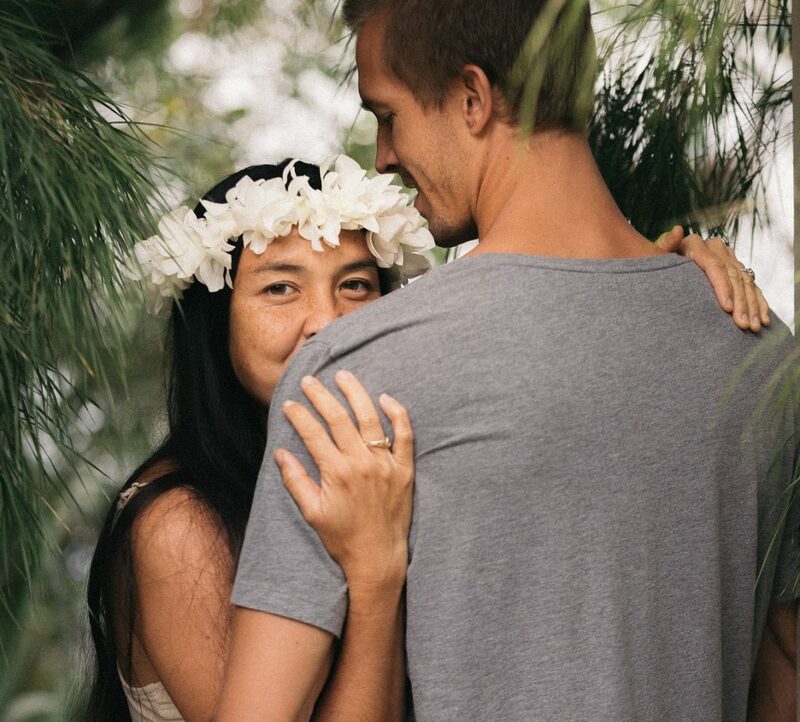 My boyfriend and I met in San Diego, actually in the tiny town Ocean Beach where we still live. Because we now share a home together with his son and have so many memories here, I wanted to commemorate this city. 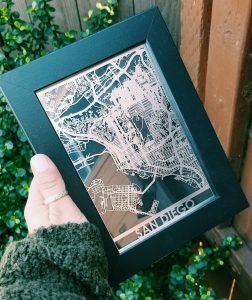 There are so many awesome map gifts out there, but what really stuck out to me with this steel map is that it has appeal for both sexes. It’s a classic black and silver design that I know my boyfriend will love, but the colors are also universal enough to appease my interior-decorator-at-heart. 2. A ‘coffee in a box’ portable cup. I’ve started to drink coffee more over the last year, but what I still don’t understand is how my boyfriend can drink cup after cup and not get the crazy jitters! Anyways, he’s big into coffee and taking it on-the-go to work. That’s why I love this ‘Kafe in a Box.’ It’s a portable, splash-proof, user friendly container that functions as a reusable K-cup! 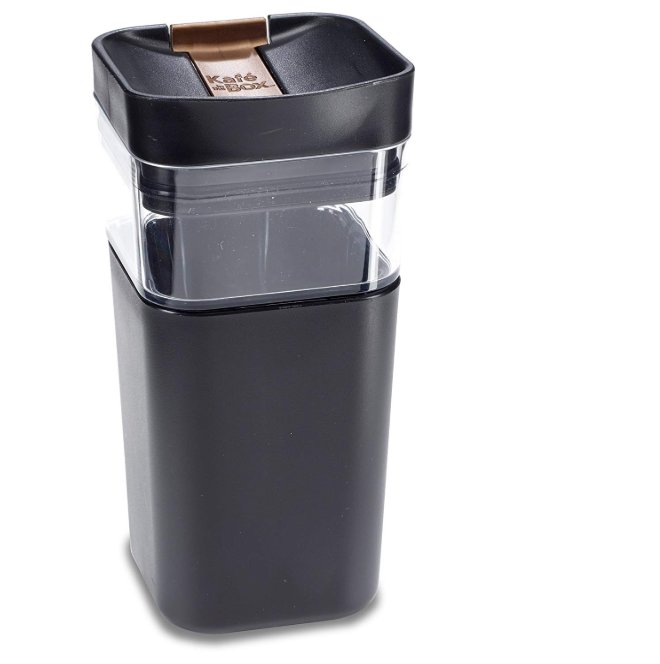 It’s BPA-free, fits into cup holders, and has a lipped edge to be comfortable as you drink. If your special someone is big into coffee, this makes a perfect last minute Valentine’s Day gift! 3. 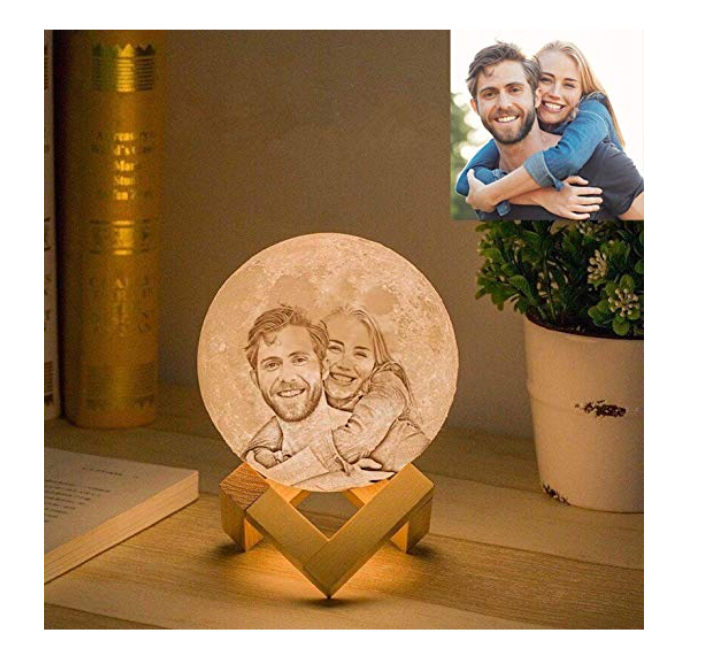 A personalized moon lamp. 4. A necklace that says ‘I love you’ in 100 languages. Okay, I might be biased because my boyfriend got this for me, but I seriously think it’s one of the sweetest gifts in the world! And the cool part is that it isn’t just for women. 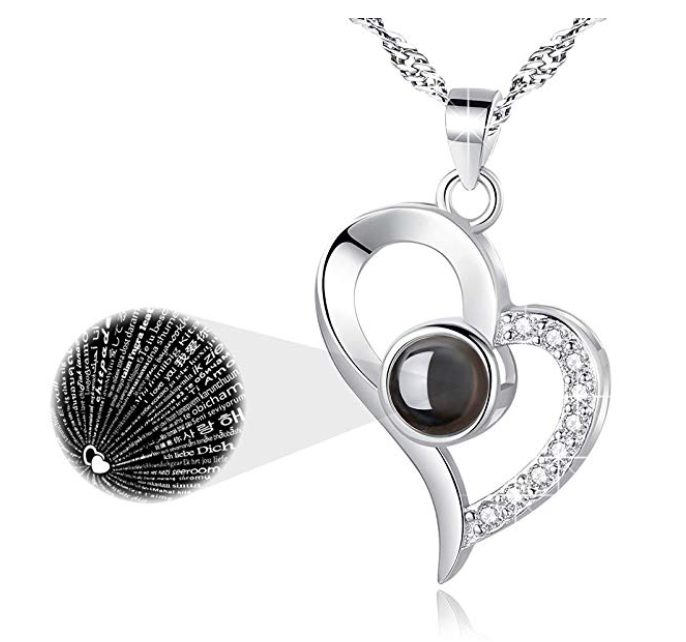 This charm projects 100 different ways to say ‘I love you’ in the light. You can get this as a necklace, yes, but I actually put mine on my key chain so I have it with me every single day (as I’m not a huge necklace person). The inner gem is dark, too, so it’s universal for both sexes and can hook onto wallets, keys, etc. with ease. This is sweet and sentimental, and when I opened it I loved it immediately. Definitely a great last-minute gift because it’s on Amazon prime! 5. This retro Bluetooth speaker. Everyone loves music. I think that’s why I was so drawn to this gift. 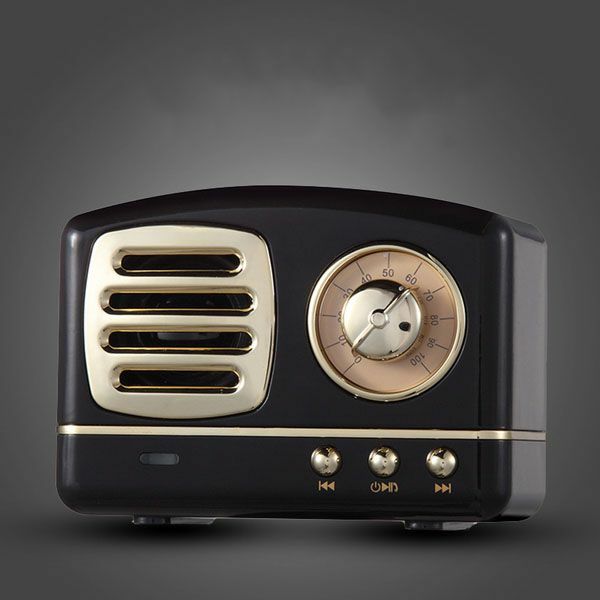 You can’t go wrong with a Bluetooth speaker, and this one is unique! Whether for a guy or girl, this speaker is both cool and functional. And if your significant other is into vintage items, this is perfect for adding to their room, office, etc. 6. A cozy throw blanket. Nothing says ‘I love you’ like a comfy blanket, and I swear by this one. Half the time everyone steals it from me, which is why I’m considering picking up one of these for a last-minute gift for my boyfriend. Then he can have one for his side of the bed. 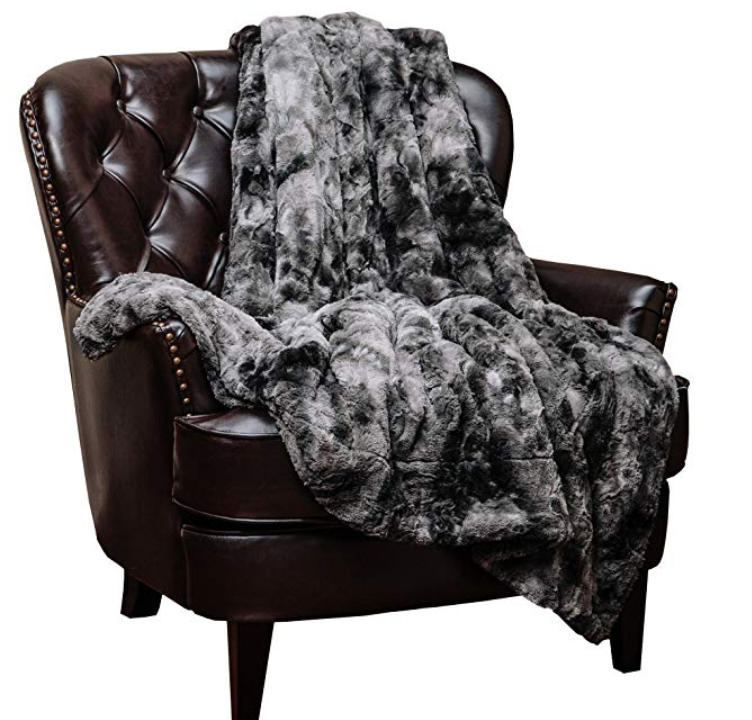 😂 This blanket is made with faux fur that doesn’t shed and measures about 50 by 65 inches (which is perfect for solo or sharing!) You can wash it (cold and low tumble dry) and it retains the softness. I’d definitely recommend. Is your special someone big into beer? Hard lemonade? Alcoholic kombucha? Okay, you get it. This is the coolest gift for someone who likes to drink on the sly because the entire glass bottle can fit inside! The BottleKeeper is designed with a screw-off top and bottom that hugs and insulates your drink. The inner lid/cork prevents spills and the unit itself can act like a mini-fridge for your drink, even when you’re out in the sun! 8. This nifty bulletproof shot glass. 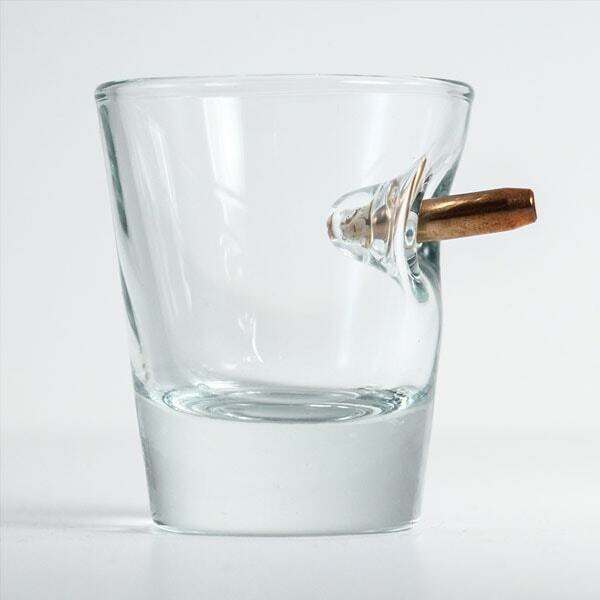 Nothing is more bada$$ than a shot glass with a bullet in it! When I stumbled across this, I absolutely loved it! It screams ‘tough,’ and can be a cool addition to your boyfriend/girlfriend’s glassware or party pieces. 9. A luxury, comfortable sheet or duvet set. 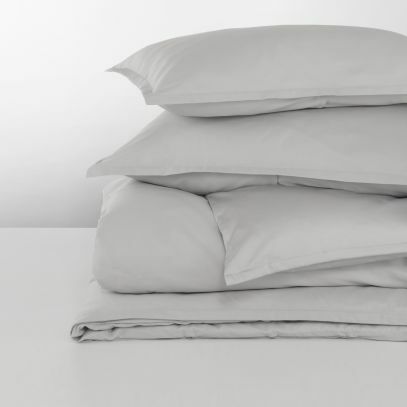 The sheets are neutral and come in three different styles: Comfort Washed (lightweight and breathable), Luxury Suite (soft and subtle sheen), and Easy Living (quick-drying and wrinkle resistant). Anything I missed? Comment and add to the list!